Marian Colleen “Boucher” Eccles was born May 24, 1922 in Farrar,Iowa,the daughter of James and Stella Munson Boucher. She graduated from Webster city High School in 1941. On February 20, 1943 she married Ray Eccles . She worked many years in the Manson elementary school cafeteria. Marian was a cub scout leader, and involved in church activities. She was an avid gardener,fed the birds and squirrels, played cards and dominos. 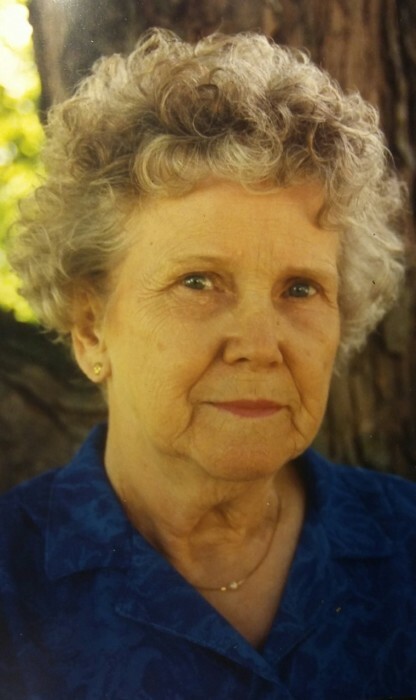 She loved to travel and tent camp,swim,fish and water ski. She was an oil painter and had passion for China painting. She dearly loved her grandchildren and great grandchildren. Marian is survived by her children Sandy of Canton,MO,Tim of Calendar, IA, Brian of Manson, IA. :grandchildren Mindy Redding of Mineola, TX, Molly Norton of Van Alstyne, TX, Che Eccles of Euless, TX, Dustin Simmons of Oklahoma City, OK, Ray Eccles of Maroa Illinois, Heather Legg of Marble Rock,IA, 12 great grandchildren, her sister Shirley Knoll of Webster City,IA . She is preceded in death by her parents, husband, brothers Robert and Jim Boucher; sisters ;Virginia Thompson, Myrtle Grove, Helen (Betty )Knoll, Margaret Dakin, Ruth Caquelin, Merna Smith.